The Faculty of General Dental Practice (UK) is the only professional membership body in the UK specifically for general dental practice. Based at the Royal College of Surgeons of England, it provides services to help those in general dental practice raise standards of patient care. It does this through standards setting, providing education courses and assessments, CPD, policy development, research and publications. 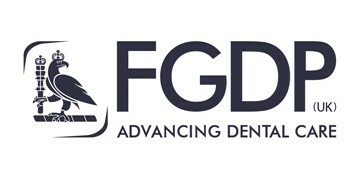 Membership of FGDP(UK) is open to dentists and other registered dental professionals. Many of you will be reading this from the sneaky preview of your ‘mobile device’ while on holiday so I will keep my mumblings brief. Don’t want the present Partners or Spouses to my dear readers getting a holiday stress on! Holidays are of course the time when you re bond with the family, and past troubles diminish in their significance such that when you return, the sun still shines and the daises are growing. Holidays allow a new focus on the real issues such as the performance of the many Premier League teams. If you are single of course holidays can be a “fun” time, strangely challenging in some respects. The STO or Short Term One-nighter relationship can lead to some interesting morning conversations. Matters of Validity of Consent can raise their head. And so it is, in your professional area of work. You will return from holiday to a focus on your note taking and records like never before. For some time this has been defensive, and a recent case  now confirms that it is not enough to record what treatment you undertook. You must now have a discussion with your patient about the risks or proposed treatment, and you must know your patient sufficiently well to apply context to those risks, and the end result will be that the patient should be able to agree to a course of action of their own free will. 3.1.2 You should document the discussions you have with patients in the process of gaining consent. Although a signature on a form is important in verifying that a patient has given consent, it is the discussions that take place with the patient that determine whether the consent is valid. 3.2.2 You must tailor the way you obtain consent to each patient’s needs. You should help them to make informed decisions about their care by giving them information in a format they can easily understand. This of course all takes time. As busy GDPs in mixed practice, that is the one thing that most of you will lack. The threat of an FtP case against you however focusses your mind. Welcome back to the Autumn of un-squareable circles, as the GDC in their lofty arrogance see no reason why you should have a problem, that body being out of touch with reality. If you have not heard, the problems have officially been fixed. Hurrah! We have already instigated a significant programme of change within the GDC which will help us to support dental professionals to deliver high standards of care and maintain public confidence in the profession. You would never guess that the PSA were critical in the extreme, the GDC being a long way below the standards of other regulators. Someone has to come bottom of the class but the GDC take that ‘achievement’ to a new level. You hear the PSA sighing in frustration. Initial consideration by the registrar. So the reality of the GDC’s crisis is that it is entirely in the hands of the Registrar to create a system to sort out the wheat from be chaff in letters of allegation received. Instead of picking true FtP cases, the Registrar operates a set of rules in which it seems that any allegation is considered seriously. Good grief, the Caseworkers are in some cases a contracted company. The GDC has descended to the role of a commercial Complaints Handling body. Standards is being used as stick to beat the profession and not as a level of practice to which to aspire. Fitness to Practice is not a Regulatory function in hands of Ms Gilvarry, it has become a commercial operation of immense cost, be that financial to the wider profession through the ARF, the financial cost to a dentist under investigation, or of course the emotional cost to dentists. 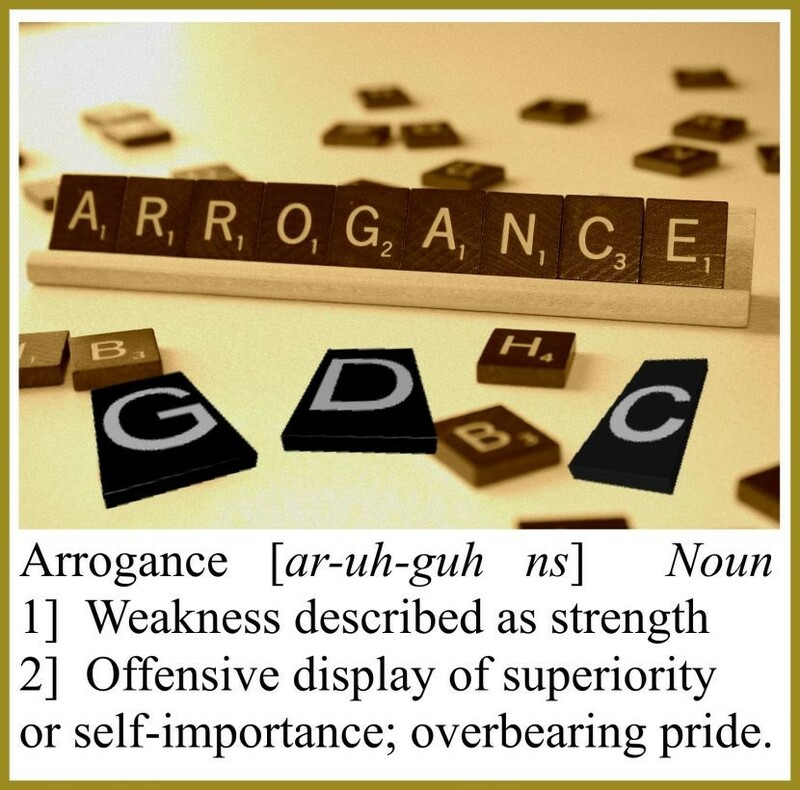 The way that Ms Gilvarry operates demonstrates that she has mastered the delivery of Institutional Arrogance. In the Chairman, Dr Moyes, she has a willing partner who has revoked his role of oversight. Who will rid us of this rotten leadership? The summer may be over but the need remains. It is time for the six registrant members of the GDC to seriously consider their positions. I assume even they were shocked at the GDC’s Press Release. The BDA and FGDP, perhaps with DPL, & DDU, and perhaps with Denplan, Practice Plan et al, have a massive role here through the BDJs editor’s concept of Coalescence. Action is needed to grab the attention of both the Minister and the Council. These words introduce the beginning of my favourite song, Pink Floyd’s ‘Comfortably Numb’, the title of which has always struck me as a particularly apt song for dentists. Several times in my career different parts of the song have resonated with me for various reasons, but this is perhaps the first time the whole song in its entirety relates to dentistry at the moment. For those that don’t know the song, it’s about a reluctant performer who is made to keep going on stage by the various influences and promises of those who seek to benefit most from him, without any consideration as to how the performer is actually feeling inside. Sound familiar? Give a performer a new drug (the continued promise of a new contract??) and that’ll keep you going through the show…. (despite the eventual catastrophic effects). However, I’m not going to muse about the wider issues of dentistry that are analogous to the lyrical musings of Roger Waters otherwise this will be a very long blog. So, in particular given the recent Professional Standards Authority paper looking into the rethinking of regulation, one has to ask if there is indeed anyone out there who is actually listening to what this paper suggests. Here we have what is effectively a toothless organization in the PSA (show me precisely what it has actually done to rein in the GDC given its publicized failings over the last few years?) that is suggesting a completely new way of thinking with regard to the regulation of the professions. Its worth a read as there are many things that have been mentioned within the pages of GDPUK. However, it’s one thing suggesting this radical rethink, but who with the power to actually instigate change is listening to what the PSA have to say? The Health Select Committee still seem to be getting their diaries in order after the election, and with no apparent repeat hearing for the GDC in the offing one has to wonder if other more pressing health matters will take priority over our issues. There appears to be no pending Government Bill in the offing to set up a super regulator (which is what I personally think will happen eventually) or rewrite the outdated legislation of the current regulators. It is obvious that the PSA sees radical failings in the current scheme of regulation, and we all know the opinion it has of the GDC in particular. However, we need to be careful about thinking the PSA is our knight in shining armour riding to the rescue; one of its remits is to review all the decisions of the GDC FtP process and if it feels they are insufficiently protective of the public (i.e. not a harsh enough punishment) then it can order further action against the registrant via a re-hearing. So they are no particular friend of the regulated, but I would counter that by suggesting they are at least an organization with the ability to actually understand what modern regulation requires. They, after all, they keep referring to the paper written by them for the Council for Healthcare Regulatory Excellence on what ‘Right Touch’ regulation means, and it doesn’t appear to always be the touch of the executioner’s sword. There was a suitably robust call from the BDA for the government to take action as a result of the PSA paper, and whilst this is the sort of thing we need to see and hear from the BDA, once again I have to ask if there is anybody out there to listen? We are unlikely to ever get any press sympathy like the GP’s do; when the Daily Mail is happy to run a story asking if we are all Natural Born Killers as a result of the recent Lion hunting episode then we really are going to lose that battle before we begin. As a profession we already know the issues, so really the BDA is only going to be preaching to converted. How they get the message out to the wider public is the key to getting the regulatory change we so desperately need. That is going to require an awful lot of positive PR and I don’t see much evidence of that. Even the fact we have been harping on about the perils of refined sugar for years seems to have fallen on deaf ears until our medical colleagues woke up to it. The PSA paper recognizes that over-regulation costing more offers no additional benefit to the patients, or the fact that healthcare has inherent risks that cannot be regulated out without a disproportionate amount of money and time, and that attempting to do so only serves to not only stifle the beneficial innovation that can help the patient, but also the general benefit to the patient overall. None of this will be news to any ethical practitioner reading this; but it’s not us that needs to take heed of this, we need to be listened to by the people who can instigate change and actually have a desire to do so. The PSA also admit that one of the problems with the current outdated regulation mechanisms is that the action or words of a registrant last lasts only a mere moment or so but can result in serious damage to not only their careers and lives, but the lives of their families too; often having a serious and lasting effect. Again, not news to us particularly, but at least it is being recognized by the PSA. 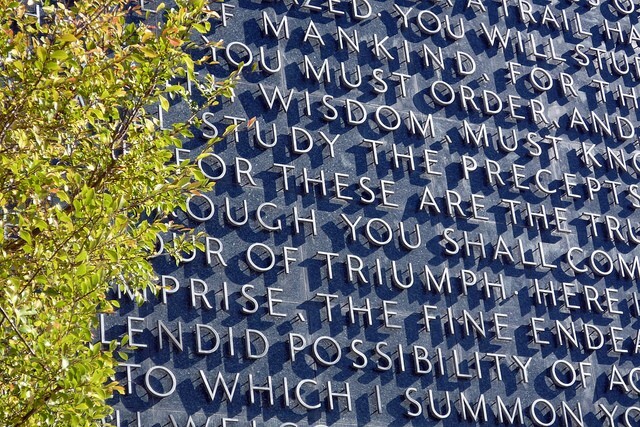 The disproportionate effect of a minor, spurious, or downright vexatious complaint should not be able to carry this threat, and indeed never used to; but more recently seems to be something that we must all be prepared to bear as an occupational risk no matter how diligent we are in our care and dealings with patients. More interestingly for the GDC though is that the PSA warn against the expanding of the boundaries of regulators and the lack of clarity and tensions this then produces. It’s no secret that Mr. Moyes has said he would like to develop the role of the GDC and broaden its remit. It is already apparent that this seems to have begun, as the GDC is no longer just the upholder of Standards within the profession but has become the de-facto complaints service which will happily look into every single issue it is made aware of. A stop to this ‘mission creep’ as the PSA call it must come sooner rather than later, but again, the PSA has little power to prevent it at the moment. Yet the GDC in its latest press release once again refuses to acknowledge that responsibility for regulatory failings are in any way its responsibility, choosing to blame once again the legislation that constrains it, and actually indicating it doesn’t go far enough currently. I think most registrants would be of the opinion that when a single complaint can have you in front of a committee that can end your career, then there isn’t actually an issue with the legislation not going far enough. The GDC is also apparently putting in place a series of ‘measures’ to help support the profession in delivering high standards of care and maintain public confidence in the profession. What these measures are we don’t know yet, but of course one way of doing this would be to make sure there are less people able to meet the standards they enforce, either my repositioning the interpretation of standards to make them virtually unattainable, and then ‘help’ by removing the registrants who fall short via the FtP process or by just driving them out of the profession by fear. Maybe this is too cynical a view but it’s hard not to have such thoughts in the current environment. More and more I hear of dentists leaving the profession due to the immense pressure placed on them every day. Despite their best efforts to remain positive, it is increasingly difficult to not think that the next patient could be the one that ends their career, despite not having done something bad enough to justify such a draconian result. That makes the risk of practicing dentistry increasingly difficult to justify. It would be interesting to see if you are likely to have a longer career these days in the field of professional bungee jumping or crocodile wrestling than clinical dentistry. In what way does this help patients when good practitioners decide to leave our profession? I remember a satirical comment a few years ago that eventually there would be 100% employment in the UK. Only one person would actually have a job doing something, but all the others would be employed to regulate them. I can see the dental profession going this way if someone in power doesn’t start to listen soon, as there will be less and less people electing to remain in or join our profession. We as individuals therefore need to unite and show the public that the pressures on our profession will directly affect them. Only when the voting public is affected will the situation come to the attention of those in power and change can be made. Although how this will pan out if the supposedly unelectable Jeremy Corbyn takes control of the Labour party and renders the opposition as toothless as the PSA remains to be seen. Getting back to the title of the song then, the problem is that too many of us are (un)Comfortably Numb with inactivity. So we are reaping the rewards of our complacency and intransigence and will continue to do so unless we unite to do something positive. If we were as vociferous and active as dairy farmers have been recently when things finally got too much to tolerate we would have arranged some form of peaceful and professional group action. 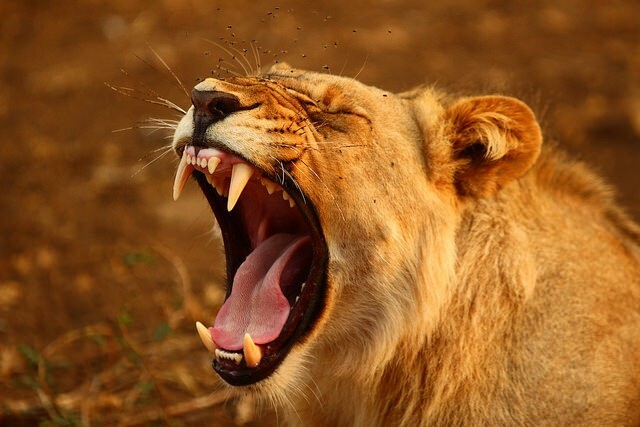 Perhaps we should round up a few hundred small cats (lions would be too difficult to risk assess and probably attract the wrong type of dentist) and release them into the General Dental Council chamber at the next meeting. Trying to herd said bunch of cats into Wimpole Street is likely to be simpler than getting dentists to do anything en masse. We could then say not all dentists have a desire to hunt cats (including small ones), and given that social media these days seems to be obsessed with the antics of cute kittens then surely this is guaranteed to get positive press interest. A flock of sheep might be easier to manage, but we don’t really want them in the Council Chamber do we? Tongue in cheek maybe, but food for thought nonetheless. In all seriousness though, whilst it appears the public at large don’t appear to have a clue what damage over-regulation and the current litigious and complaining environment is doing to the ability for dental professionals to care for them appropriately, these are the same people who in their chosen fields are also likely to be suffering from similar threats. Speak to many of your working adult patients and you’ll find we are not alone in suffering the pressures we are currently under. Admittedly there might not be the same degree of threat to their career and livelihood, but certainly anyone in one of the professions and the emergency services have very similar issues as we do. ‘Guilty until proven Innocent’ is not unique to dentistry. This is the message that needs to be conveyed in no uncertain terms to the public by both our professional leaders and us as individuals. Only when the public has empathy with us will we have their support. If nothing changes then the profession will dwindle more and more as a lack of morale grows. For it is they the public as patients who will then suffer most when there are no longer any of us out there. Image credit -Samuel Rodgers under CC licence - not modified. Like many I am grateful for the services of the GDC. I pay the ARF secure in the knowledge that my patients are safe and the money well spent. Just when the state of the dental profession cannot look more perverse, the GDC have achieved something that the last 8 years of the DH and their man at the helm of the 2006 UDA disaster has failed to cause. Numerous LDC Conferences calling for this and calling for that – the ever calm and serene profession of dentistry has just adapted and carried on. Implosion at the BDA and barely an extra glass of claret was supped at the ripples on the water of our profession as calm discussion took place about politics. A raft of daft changes came along such as the UDA system, the HTM document, the OFT report you all now the form – and we ranted for a few months but quietly took another blow to the body, absorbed the costs and “moved on”. The public acknowledgement that the Contract Pilots have been a sham and that any changes to come will be merely prototype in nature and at least 2 years down the line. Dentists have had a bit of a cough to their colleagues and carry on, “being busy”. The dreadful farce of Foundation Dentists lacking places allied to their debt and many were heard to comment widely and indeed care deeply, but the rump of the profession have likely returned to their skate-like lying on the bottom. “They’ll get by” we all thought. “Wouldn’t recommend it to my chidren” we muttered. Next please. The CQC came over the horizon brandishing a large bill and a lot of empty folders and by and large we have paid the charge and filled the folders, only to carry as before doing what we do – meeting, greeting, interacting with & treating patients with their range of ailments and fears. But the GDC, in their proposed hike of the ARF to £945, allied to a comical consultation so pre-determined as to be reminiscent of a past communist regime have caused the profession to both awaken and threaten to unite in a way never seen before. Just when it was looking very interesting, the satellite of the GDC, the Dental Complaints Service fire their own salvo at the profession. 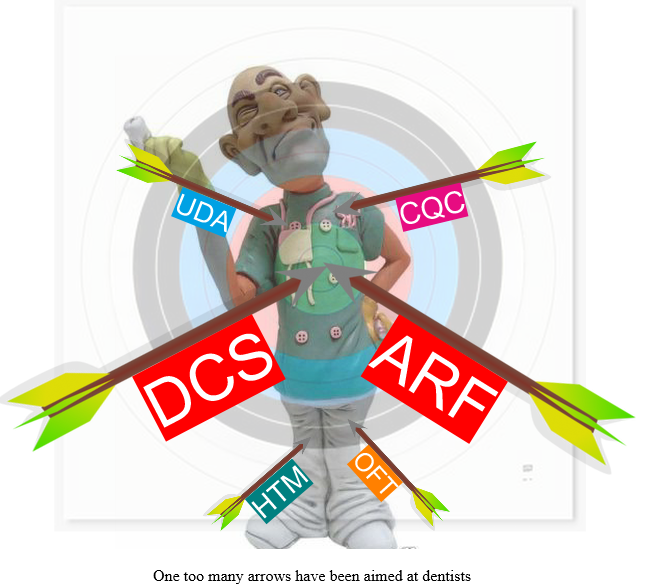 The DCS may be “at arm’s length” and independent or so they claim – but they are wholly funded by the GDC, ergo our ARF’s – so how independent they are is, shall we say, somewhat debatable. What effect was intended, I wonder when the DCS took a full page advert in the weekend colour magazine of the Daily Telegraph claiming to act on anything less than COMPLETE satisfaction for every patient. I have a three letter acronym of my own - FFS!! Never in 35 years have I seen such united sentiment and anger, perhaps however more importantly associated with individual response and action. The electrons are red hot with e-mails, complaints and letters to MP’s and these bodies. How ironic that when a patient complains about us, we are always assumed to be in the wrong. When we complain about these bodies, they are always correct and indeed learning. Is it just me? Well this is an unprecedented time, and it will call for unprecedented action. Perhaps a mass sentiment requires a big organisation to coordinate a big response. There seems to be a widespread sentiment that the GDC has lost completely any confidence it may have had with the profession. Of course they will blandly point to some piece of biased research they did to show how well regarded they are. They may not realise but the rules have changed and the gloves are off. Big boys games demand big boys rules. And it is the GDC and the DCS who started this. Who will rid us of this poison organisation, who will deal it a fatal blow, for it is a big monster and well protected by the armour of politics? We must thank the GDC & DCS – the profession appears to have finally awoken, and if I am not mistaken, this time it is getting to its feet. Interesting times with a little smoke of excitement. Who will wager what we see next? I won’t!! Have a good week, worker bees. Tootle pip.